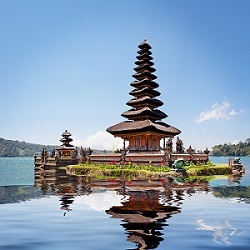 Indonesia is the only ASEAN nation that is a member of the Group of Twenty (G20) nations. This membership has facilitated the Indonesian economy resolve its global economic and financial problems by helping it i) build and supply adequate infrastructural facilities; ii) create job for its economy; and thereby iii) meet the targets set in its Millennium Development Goals. Foreign investors willing to invest in the oil and mining sectors in Indonesia face increasing difficulty majorly due to the issue of resource nationalism in the sentiments of the Indonesian government and its people. This national sentiment overpowers any economic gain or logic that the nation is likely to derive from foreign investment in this sector. Because of the abundance of labour and raw materials, Indonesia’s reputation as a manufacturing hub is growing considerably. The country is rich in several minerals and is one of the leaders in agricultural products, which is advantageous for entrepreneurs interested in starting a business in Indonesia.